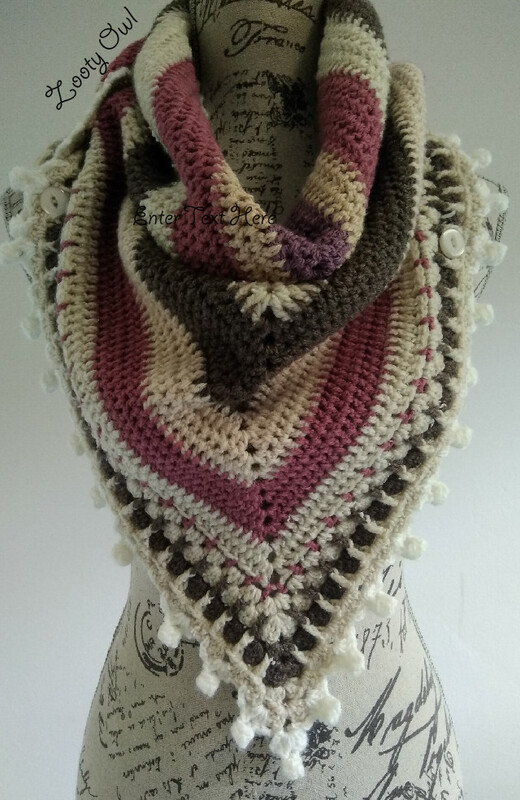 This pattern was written especially for "novice" crocheters and for those wanting a bit of therapeutic, repetitive hooking. 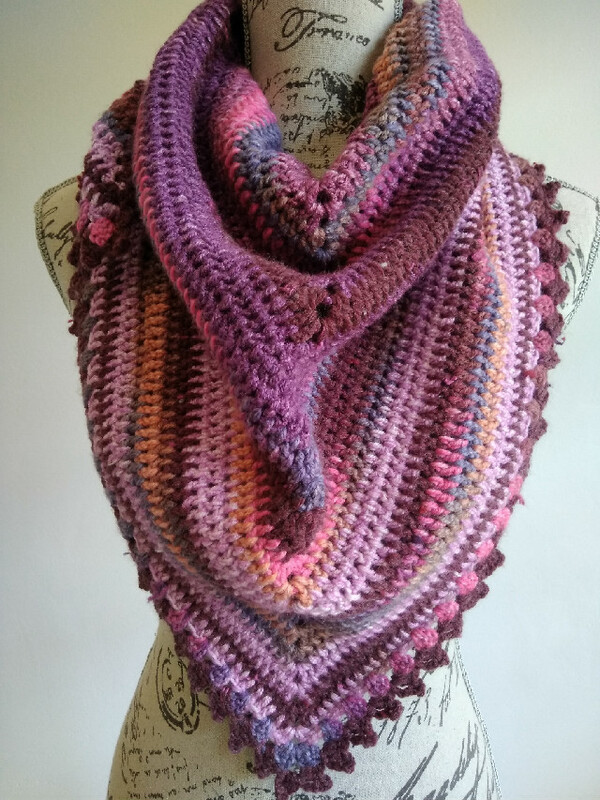 It was designed specifically for easily accessible (and super to work with) yarns like Elle and Stylecraft Special DK, but works up fantastically in a more luxurious yarn. 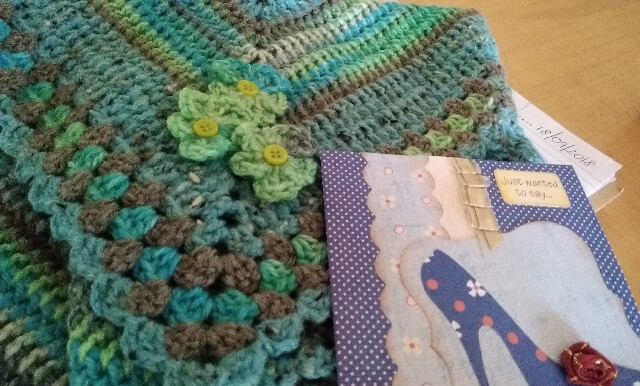 For the shawl a minimum of 55 rows are crocheted before starting on the border and for the scarf 39 rows. 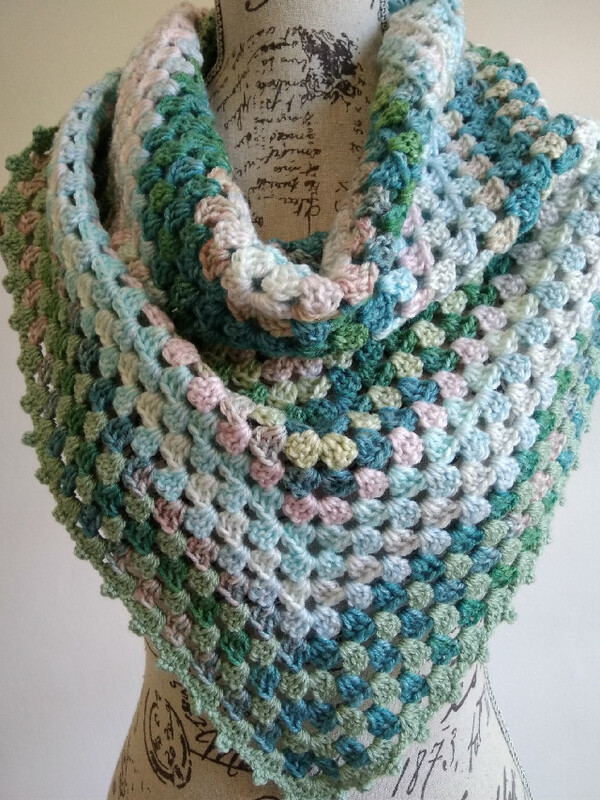 The repeat rows of double crochet are perfect for using up oddments of yarn, and the simplicity of the pattern allows for incorporation of various types of yarn of the same thickness. This scarf was designed for the 2017 Stylecraft Blogtour using Stylecraft Batik DK and Stylecraft Batik Elements DK. 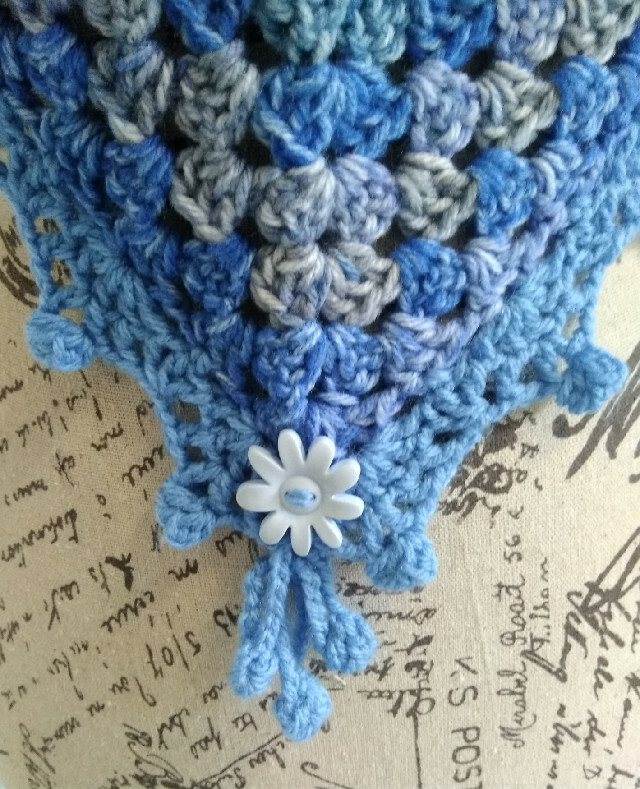 Repeat rows of granny clusters (3dc) make it easy to add different edging designs, although I think the original edging is too pretty for words!. 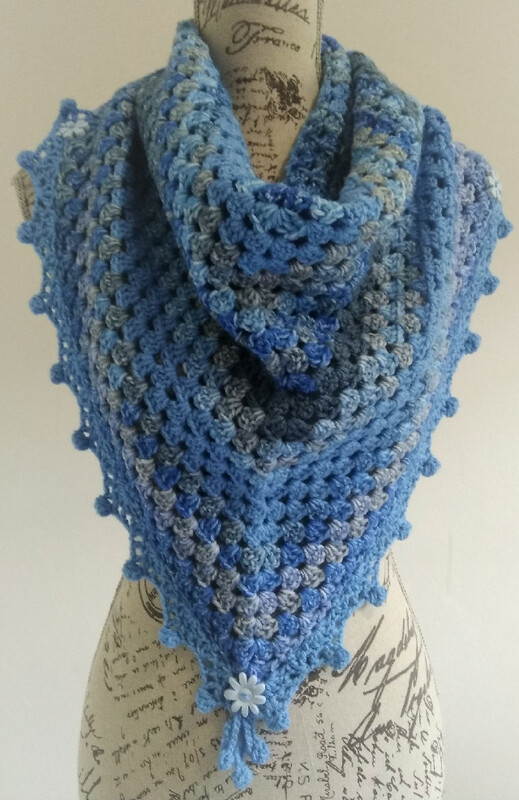 This is also a great pattern for using up small quantities of yarn. 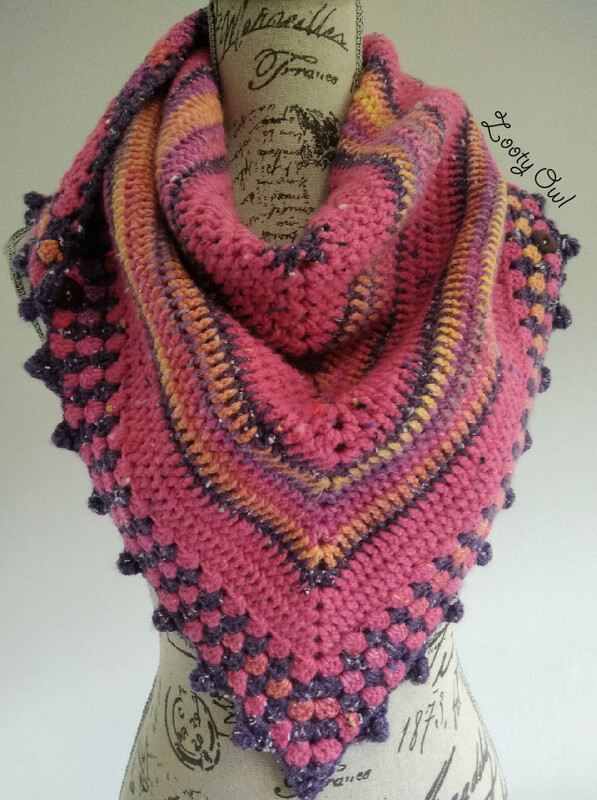 Here I have experimented using two different variegated yarns. 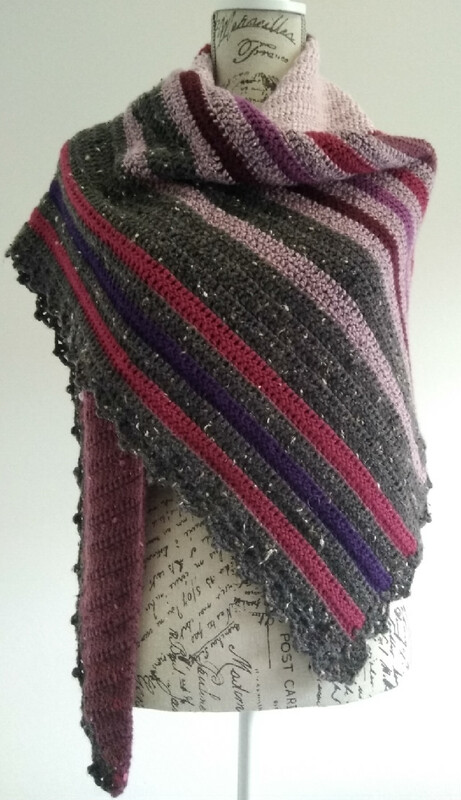 I have been working on a set of three quick and easy patterns worked in a DK stripe, one of which is an asymmetrical shawl. 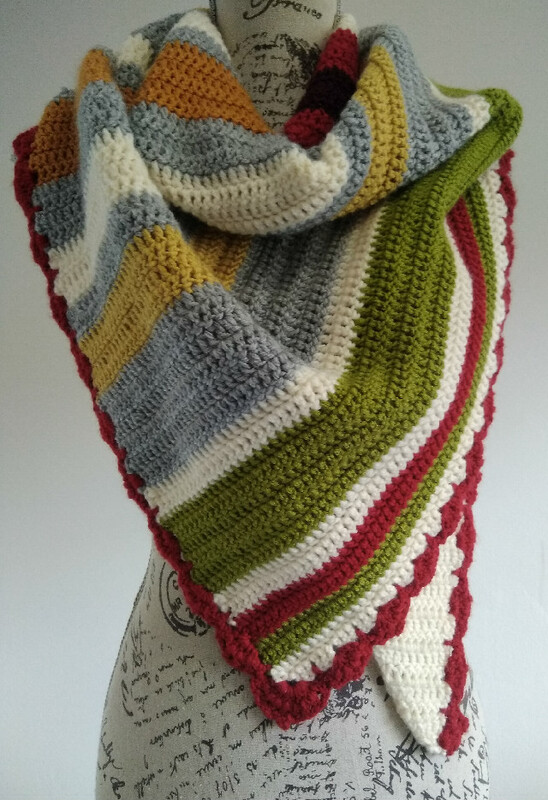 The uncomplicated increases and repetitive stripe allow you to go to town with your colours!